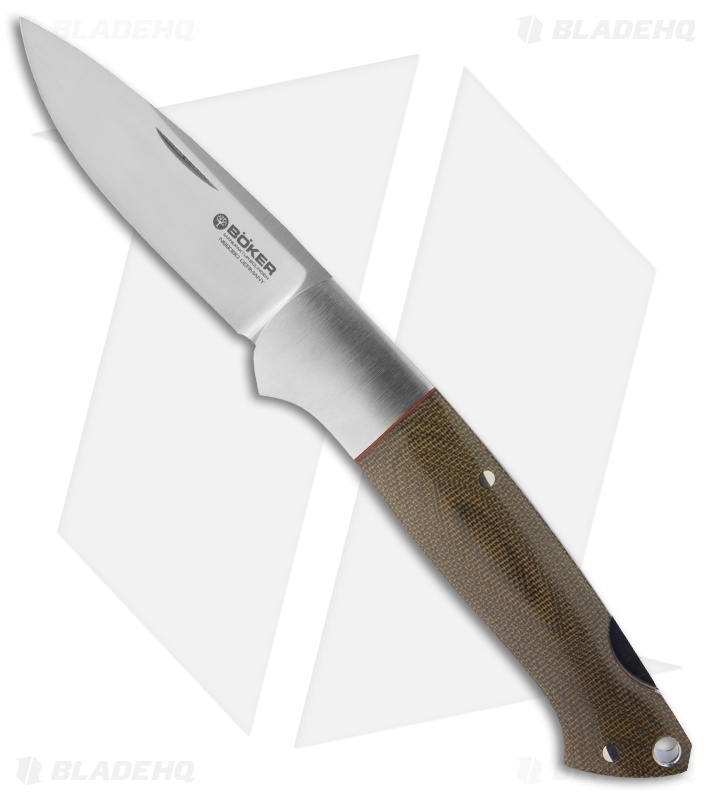 This design by W. C. Davis, stands out with a traditional drop point blade, whose shape has proven successful for use hunting and in the outdoors for decades. 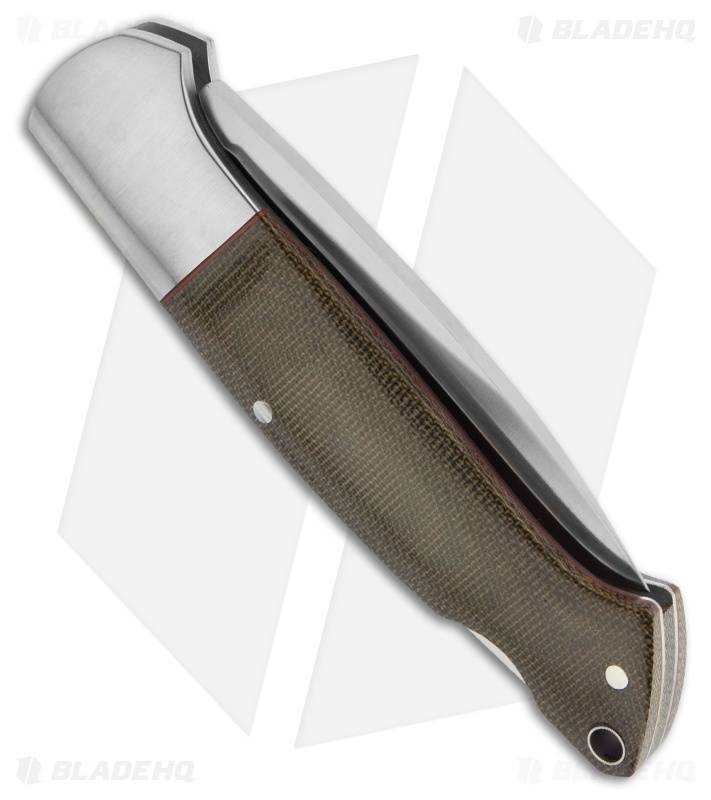 The stainless steel tang and bolsters are an attractive counterpoint to scales of polished green canvas Micarta, which provide an excellent grip, even under wet conditions. The red fiber layers between the bolster and the scales provide a nice contrast to the high polished steel. The blade steel is high quality N690BO, with a Rockwell Hardness of 58-60, and offers a most impressive cutting ability. Slim-line construction, which allows comfortable carry in the pocket.